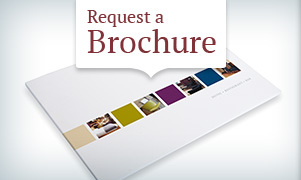 Our philosophy is to provide the highest possible standard of care based on the individual needs of our residents. Our aim is to provide each resident with a caring and secure environment and the means to live life to the full extent with privacy, independence and dignity. We are fortunate that we have a committed nucleus of full time staff who have worked at the Mayfair for many years now, 30 carers and 12 ancillary staff who work in our catering, domestics, laundry departments. 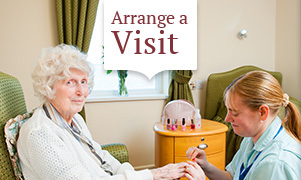 We have three care teams, each headed by a Senior Carer who is NVQ 3 or NVQ4 trained. All staff are selected and receive induction training from Julie Anderton and Sally Dalby before being handed over to a member of the team they are joining who will shadow them until it is felt they are competent and confident. Training is then on a continuous rolling programme as required. The Management are committed to staff training and were accredited with ‘Investor in People' for 18 years. 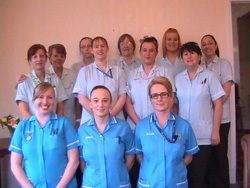 A high proportion of our care team have NVQ 2, 3, 4 in care, and regular courses are attended e.g. We're sorry to announce that Licia, our Managing Director and Registered Manager sadly died on 29th December 2017 following a very courageous battle with cancer. Over the last few years Licia had been recruiting & training staff to assist & take over elements of her role within the Mayfair, and was very pleased to know that her good work would continue through her Management Team. Licia's brother and fellow Director, Tony, is now Managing Director and acting Registered Manager pending achieving the necessary qualifications. Like Licia, Tony grew up in the Mayfair, initially when it was a hotel owned & run by their parents, then qualifying as a Chef and then becoming responsible for the Catering and Building Development & Maintenance when the Hotel became a Residential Home in 1984. Tony has successfully completed NVQ 4 Registered Managers Award and has City & Guilds 705, 706/2 and 707 catering qualifications. Licia met & worked with Julie for 18 months from 2016. Currently, Julie is responsible for recruitment, training, welfare and constant appraisal of all the Mayfair staff. Sally is another Mayfair 'lifer', starting out as a Community Carer in 2005, achieving her Level 2 Health & Social Care qualification in 2006. Sally joined the Mayfair in 2008 as a Carer and gained Level 3 Health & Social Care qualification in 2009. She then became a Senior Carer in August 2010, managing a team of Carers. Sally worked for and got her Level 5 in Advanced Adult Practice in Health & Social Care. In August 2016 Sally became a Trainee Manager, assisting Licia & Tony with the ever growing regulatory requirements and other aspects of running a Home of this size. Following Sue Exton's retirement from the position of Care Manager in April, Sally (alongside Kym Thomas) took on many of the responsibilities, and formally became our Care Manager in June 2018.